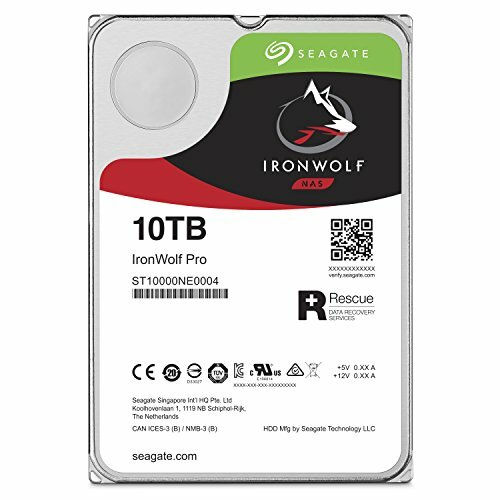 Tough, ready and scalable, Seagate IronWolf Pro drives (up to 10TB) come with AgileArray technology focusing on drive balance, RAID optimization with error recovery control, and power management on NAS enclosures. You also have Rescue Data Recovery service for that extra peace of mind your digital assets can appreciate you get knowing your digital assets are protected. Optimized for 1-to-16-bay NAS enclosures for creative pro and small- to medium-sized enterprise enclosures, IronWolf Pro drives are enhanced with AgileArray technology and Rotational Vibration (RV) sensors.